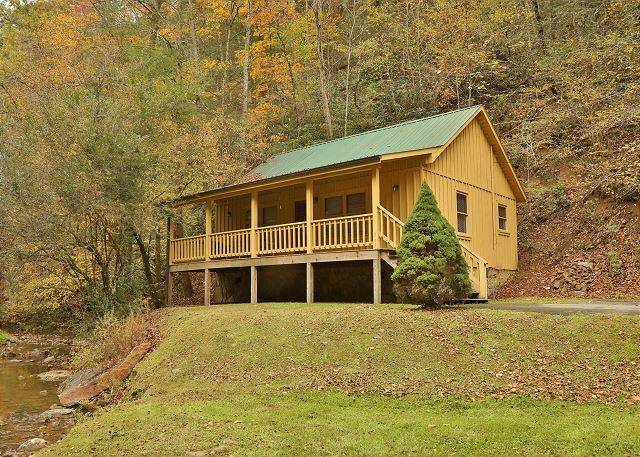 Location: Pigeon Forge Near Caney Creek. 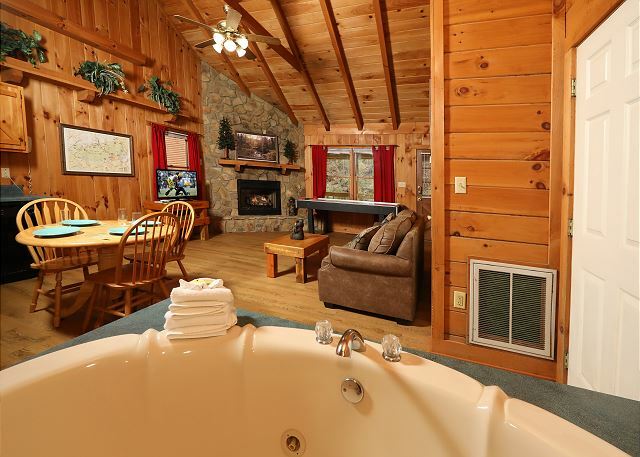 This is the perfect getaway for honeymooners, and is also great if you want to bring the kids! 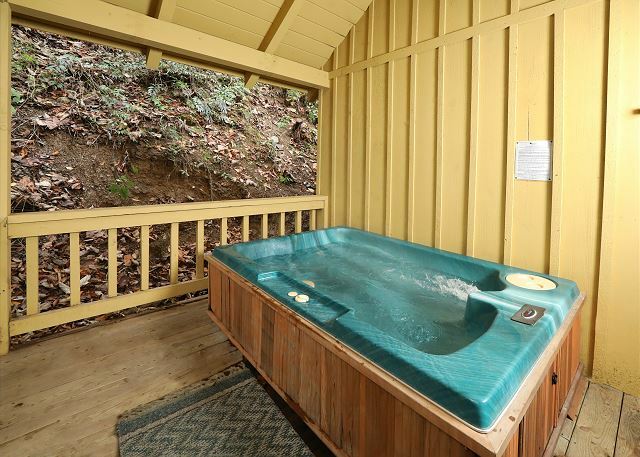 Enjoy the sounds of the creek from the hot tub on your covered deck, or grill a meal while taking in the scenery. 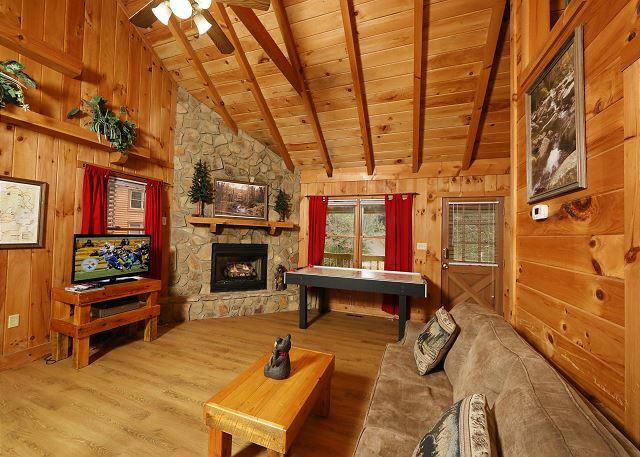 Inside features 1 king bed, sleeper/airmattress, air hockey table, satellite, dvd, and a gas fireplace to keep you entertained and comfortable. 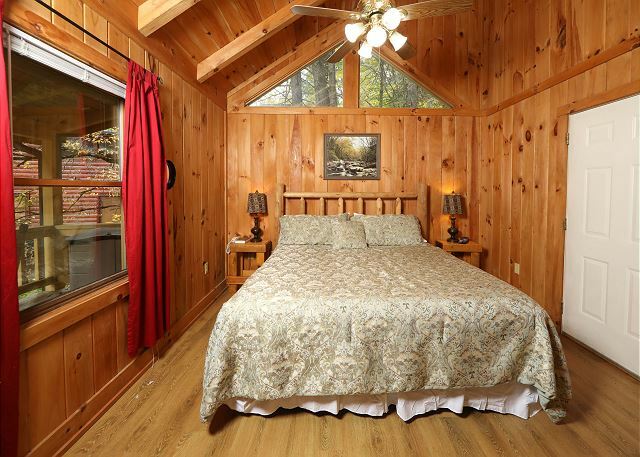 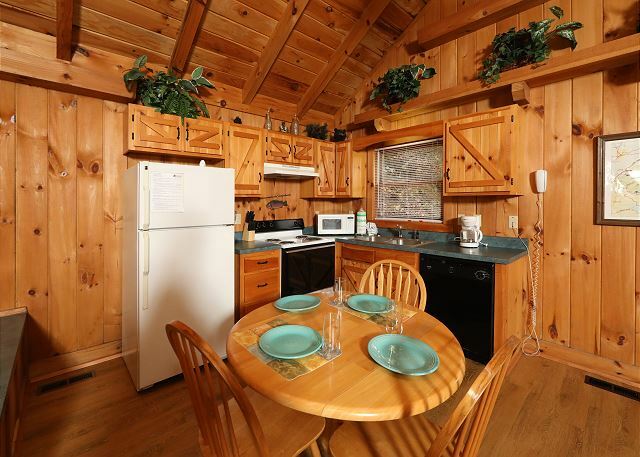 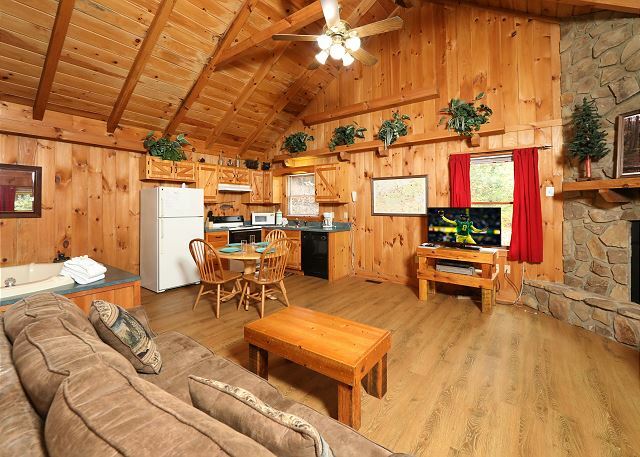 This cabin offers the beauty of while still being close to Pigeon Forge and Gatlinburg attractions. 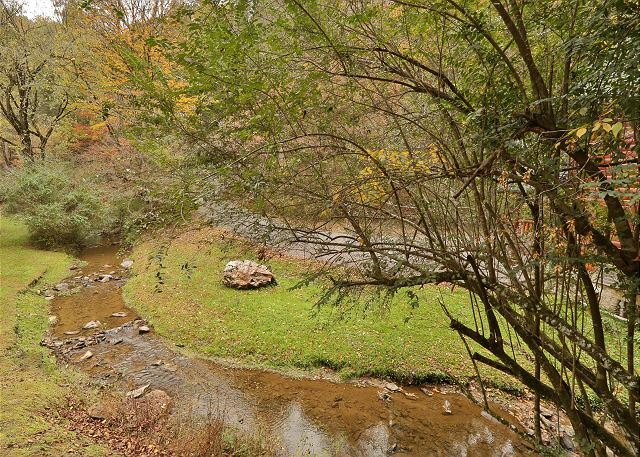 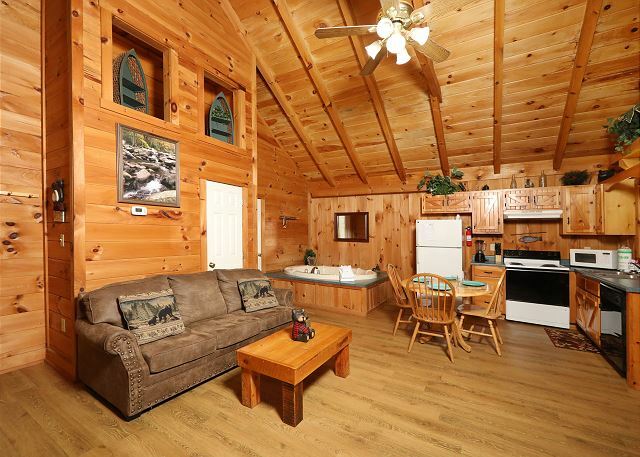 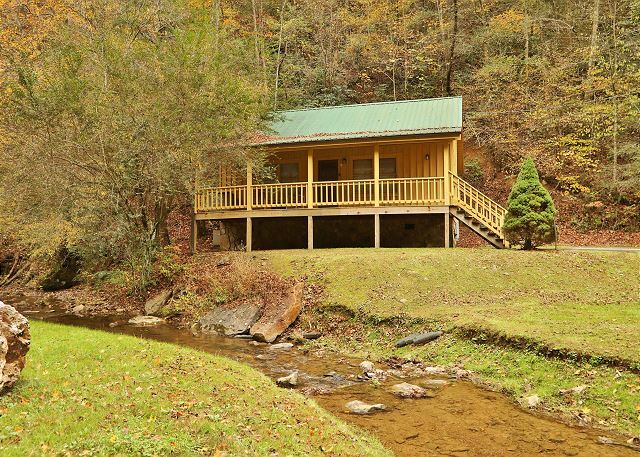 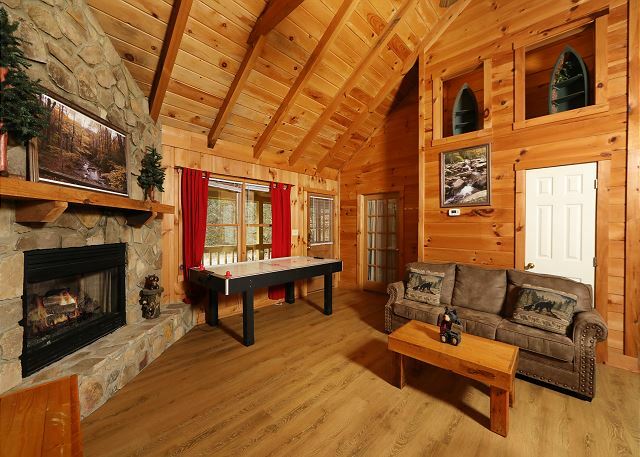 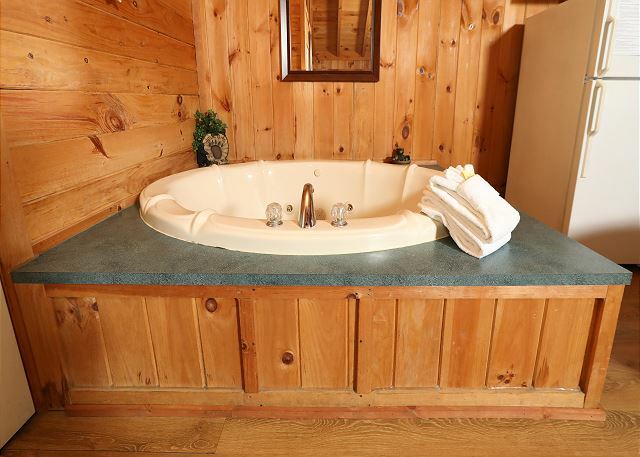 Prepare for some Creekside Tranquility, and book this cabin today!